Neil Patel is one of the most recognizable names in Digital Marketing. He has his very successful online fingers in a number of different projects. If you do a search for “SEO Checkers,” one of his lead generating website typically comes up in the top 3 (which is a testament to his SEO chops). This tool is called the “SEO Analyzer.” On the home page of the tool website, it boldly claims: “If you’re struggling to get more visitors to your site, the answer might just lie in this FREE report!” Let’s find out if that’s true. Orange is the new black…or something like that. The current home page for SEO Analyzer greets you with an action oriented field of orange and numerous pop-ups. 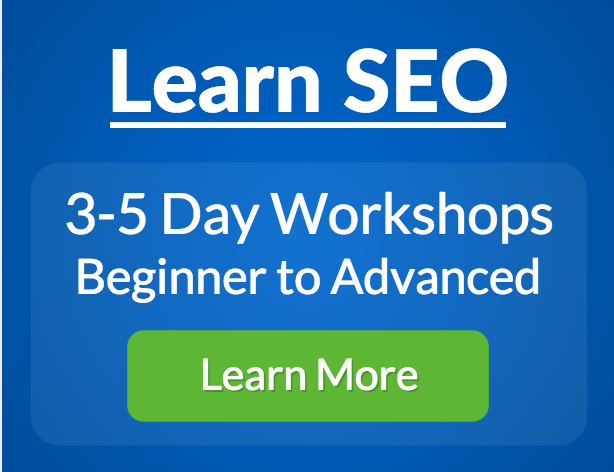 Let’s see what insight for struggling web marketers the SEO Analyzer might offer! First of all, one of the nice things about this tool is that it does not demand your email address to allow you to use it. On the down side of that, you do have to put up with serial pop-up messages, and to dismiss them you have to click on links that say something like “No, I don’t want more traffic.” C’mon guys, really? 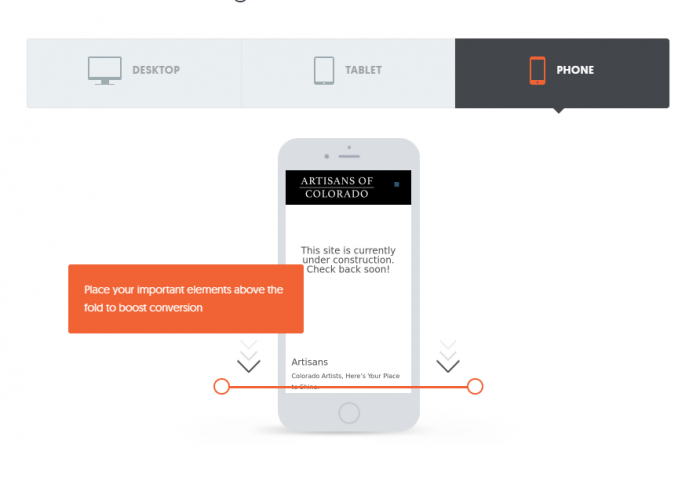 For this analysis, I chose a website called ArtisansOfColorado.com, belonging to friends of mine who will admit the site has been somewhat neglected over the years. 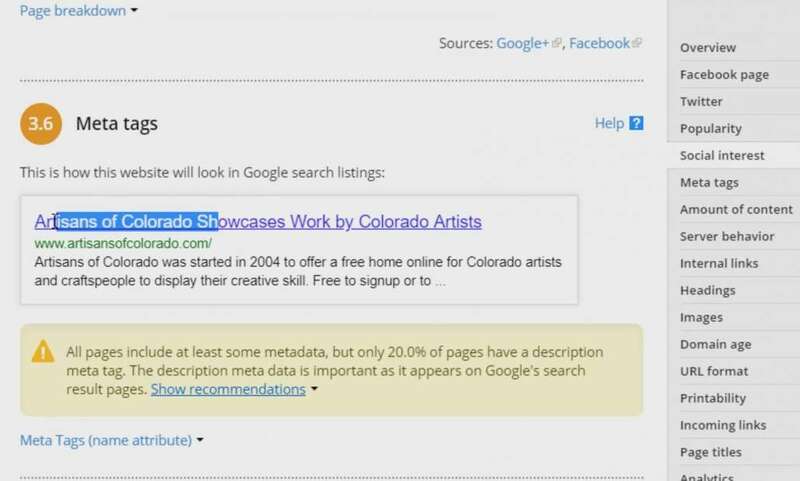 In any case, I think it’s a great site to let a tool like the SEO Analyzer prove its worth, since ArtisansOfColorado.com has never been Search Engine Optimized. It’s the perfect guinea pig. The first order of priority for SEO Analyzer is a variety of factors that contribute to the success of your site from an SEO perspective. 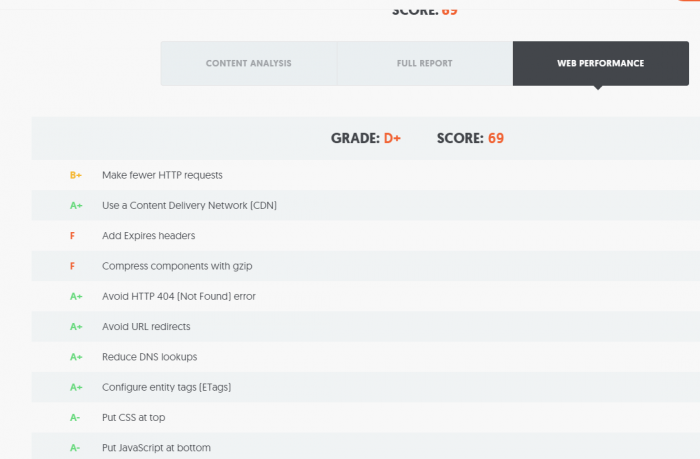 In this case the analysis tells me that the site passed 14 checks and failed or under-performed on 5 other checks. Although this is of course a very short list of checks (Google, for example, uses about 200 ranking signals to evaluate a website and how it will perform in search results), nevertheless, Neil has had his team focus on a manageable list. And the list does include some of the most critical and most often missed factors for SEO novices. If you’re just getting started with SEO, this is a good basic analysis that could be useful in finding some of the key gotchas on your site. Still, it’s just a start, and numerous factors are not really addressed (for example, SEO Analyzer gave a warning about overly short H2 tags, but neglected to point out that this page doesn’t even have an H1 tag, which is a key missed opportunity for on page optimization). Here’s the speed score for our test site. These numbers won’t mean much without some context. The actual letter grade is, for some reason, buried in the details. 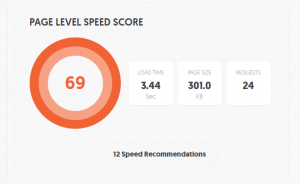 The SEO Analyzer obviously places a lot of emphasis on the speed component of your web page, as illustrated by the fact that the Page Level Speed Score is placed at the very top of the analytical metrics it offers you. This is certainly in line with current thinking, since the speed with which your page loads is an important factor in how well you do, not only in search results, but also in attracting and retaining visitors to your key pages. As you might tell from the screen captures below, there’s a fair amount of detail here. Unless you’re comfortable with the technical side of web development, it’s best to just shoot these details over to your web developer (if you have one), or find a web developer (if you don’t) to try to make sense of them and implement them. Time to get a geek involved. This is great detail, but beyond the grasp of non-tech people. SEO Analyzer addresses the issue of mobile usability by showing you how your page lays out on different devices, although it doesn’t really discuss some of the more technical indicators of mobile usability. Still, for most beginners, the visual representation is probably the easiest and quickest way to grasp whether your web page is presenting your company properly on that growing percentage of users who will visit your site with their phones. The tool also has a helpful line to show you were a typical user would have to scroll to see more of your message. Click on the various tabs to see your web page in desktop, tablet, and mobile device views. 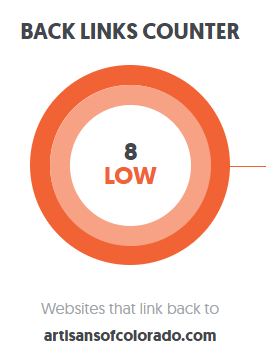 The orange line shows the “fold,” the invisible line below which your content will only be seen by scrolling. The backlinks counter on SEO Analyzer needs to offer more clarity about what its reporting. This is the weakest section of SEO Analyzer. 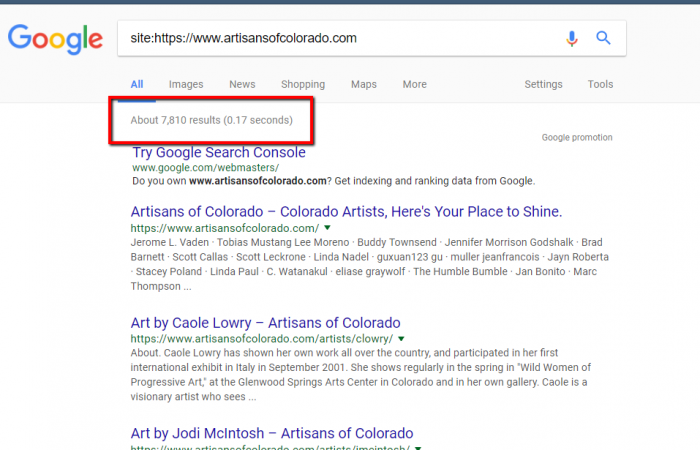 The backlinks counter on this page, for example, says that it’s reporting on backlinks to “artisansofcolorado.com,” seeming to indicate that it is reporting on links to the domain. 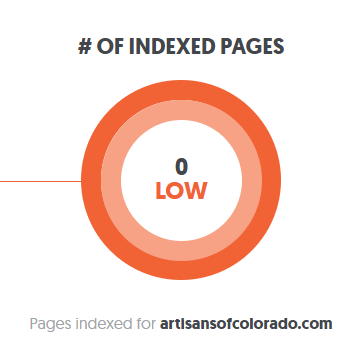 But on the other hand, it says “websites” linking to artisansofcolorado.com, and in SEO parlance this would be referring domains, a much different metric than backlinks. Additionally, this number doesn’t match up with other respected services. Majestic.com reports 173 backlinks and 25 referring domains in their “fresh” index. Moz.com reports 2,666 links. So it would be interesting, first to clarify where this number is coming from, secondly if it is reporting on links or referring domains, and finally if it is links to any of the pages on the domain. Until these questions are answered, this metric has limited value. This number is perplexing, since Google reports almost 7,000 URLs in its index for this domain. More disappointing is the number of pages indexed figure. This typically refers to the number of pages that Google reports in its “index” for a particular domain. Although SEO Analyzer doesn’t really specify which index its reporting (after all, in theory it could be Bing), if we make the logical assumption that it is referring to pages in Google’s index then this number is simply wrong. The usual way to query Google about the results in its index for a domain is to do something called a site search, as indicated in the screen capture. Google reports almost 8,000 results for this domain, a far cry from zero. 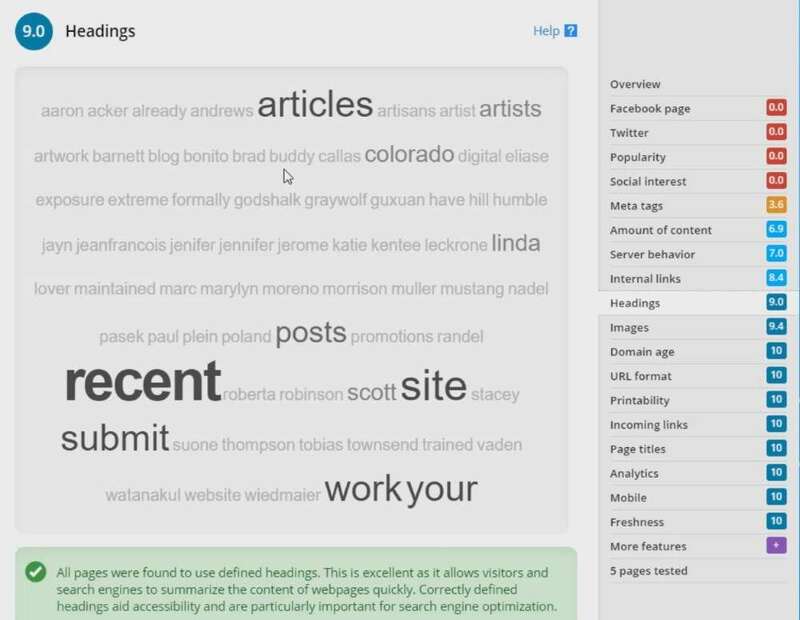 Like many SEO Checkers, the way that SEO Analyzer handles a context analysis of the text of this pages is to present you with a frequency grid (see screen capture, below). It divides its results into the number of times a particular keyword appears not only in the body text, but also in key SEO elements such as the <title>, meta description, and headings (all variants, presumably). It also endeavors to do the same grid for 2-word and 3-word phrases. One other minor criticism is combining all the heading <h> elements together. The SEO importance of an <h1>, for example, is far different than an <h3>, as is its recommended optimization. 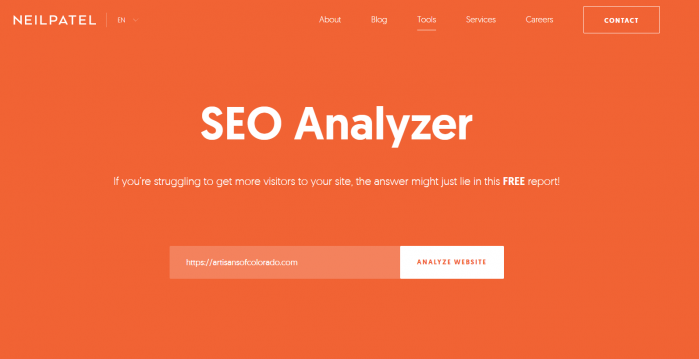 In this blog post I’ve mainly dealt with the Website Analyzer, but SEO Analyzer also includes two other related tools. The competitor analysis pulls the top-level metrics (Estimated traffic, SEO score, and speed score) for up to 3 other web pages and presents the results. Naturally that’s a very broad measure and doesn’t go very far toward doing a true competition analysis, but it’s something. There is also a keyword suggestion tool that I find a bit confusing. It is branded as an “Ubersuggest” keyword tool, but doesn’t really operate like Ubersuggest.io (which Neil Patel acquired some months ago). It also states further down that it is providing data from SEMRush, who operate one of the most powerful and comprehensive suite of SEO tools used by professional Internet marketers. In any case, the keyword tool bundled up on the tools.neilpatel.com site doesn’t appear to be tied into the SEO checker, which is the focus of this series of blog posts, so we don’t really need to say more about it. Since it’s free, feel free to experiment and see what suggestions it gives you. 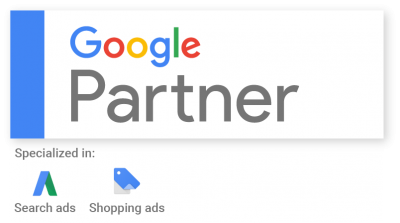 Pros: This handy tool from Neil Patel is very easy to use, operates quickly, and doesn’t demand personally identifiable information. It hits some of the major areas of a page where a newcomer might overlook easy opportunities for optimization. 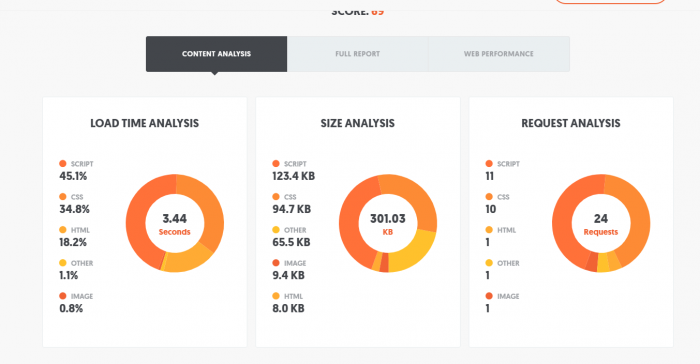 Do you use the SEO Analyzer? Do you see important things this post overlooks? Do you have a similar tool you’d like to recommend for future reviews? Feel free to post a comment below. 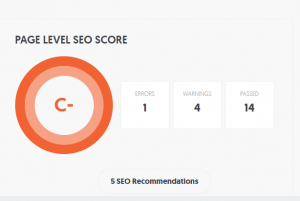 And subscribe to this post to be automatically notified of other reviews soon to come in our SEO Checkers review series. https://www.horizonwebmarketing.com/wp-content/uploads/2018/01/home_page-e1513285322555.png 359 699 Ross Barefoot https://www.horizonwebmarketing.com/wp-content/uploads/2017/07/horizon-web-marketing.png Ross Barefoot2017-12-19 07:00:122018-06-18 16:06:13SEO Analyser is a Free SEO Checker, How Does it Stack Up?